I truly believe the best part of the holidays are in the anticipation. Decorating, shopping, attending Christmas festival and reminiscing on family gatherings of the past. 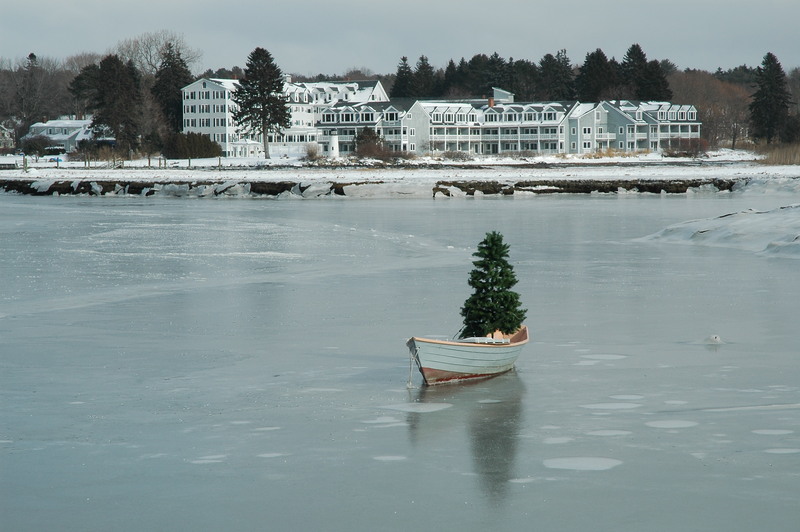 One of the best gifts you can give yourself around the holidays is a Maine getaway, before Thanksgiving and Christmas slip away. I can think of no more festive place than Kennebunkport Maine just before the holidays. This delightful seaside town really decks the halls and does a magical pre-Christmas celebration, called Christmas Prelude each year. 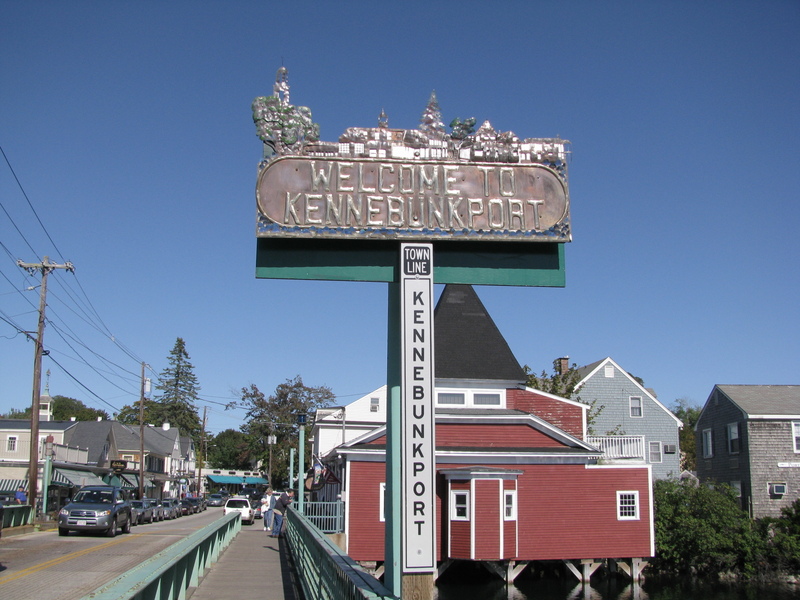 Visiting Kennebunkport in November and early December, you get to partake in the excitment of pre-holiday preparations, and shop the boutiques in Dock Square to find those perfect gifts without the hectic pace of the mall. 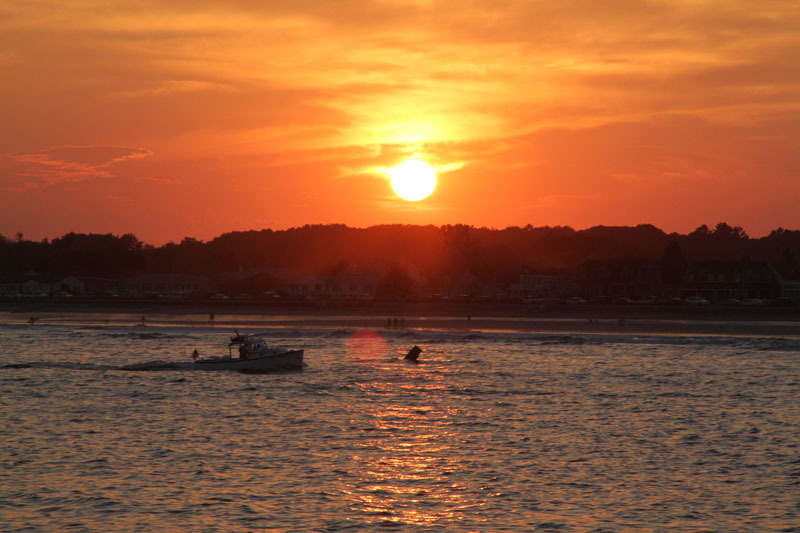 Enjoy a leisurely lunch at one of Kennebunkport’s best waterfront restaurants – overlooking the water at David’s Boathouse or Stripers at the Breakwater Inn and Spa. Staying in a romantic bed and breakfast like Captain Lord Mansion in a suite with a fireplace and a four poster bed will have you forgetting the hectic hubbub of the holidays. Or stay right on Kennebunk Beach at Seaside Inn and soak in the outdoor ocean view hot tub as part of your relaxing getaway after walking the quiet beach. Yes, you can still walk the beach, and stroll Ocean Ave which is remarkably peaceful after the summer people have gone. If you are traveling with the kids, then The Nonantum Resort has fun events now through Prelude for kids and parents, including cookie parties, holiday movies every night, and breakfast with Mrs Claus, plus for parents: a fantastic Fire and Ice outdoor ice bar and bonfire celebration. 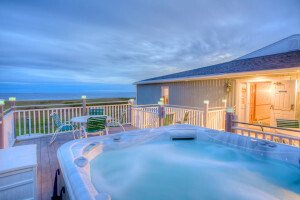 The Rhumb Line Resort is an affordable lodging property a short drive from downtown Kennebunkport with an indoor pool and hot tub, plus an outdoor hut, and kids 16 and under stay free with parents. If the holidays typically stress you out, then come stay by the River and enjoy some R&R with spa treatments at the Breakwater Inn and Spa. 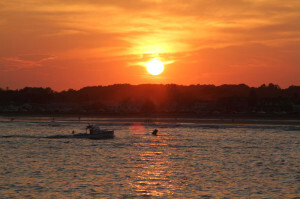 You can still walk to Dock Square shops, or just relax at Striper’s bar over a cocktail and spectacular sunset over the river and the sea. 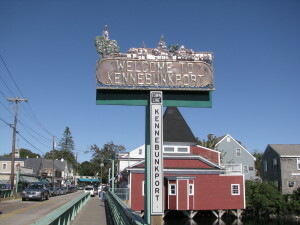 November is a great time to visit Kennebunkport and get a great deal on lodging, Thanksgiving is too. You can stay in town and let someone else do the cooking. Picture yourself on the riverfront balcony at the Boathouse Waterfront Hotel, while the Chef is baking and basting in the kitchen for you. 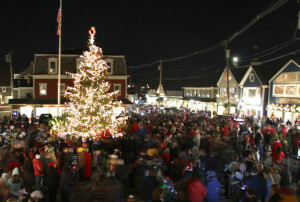 Come the first two weeks of December, Kennebunkport comes to life with brilliant beautiful holiday decoration. 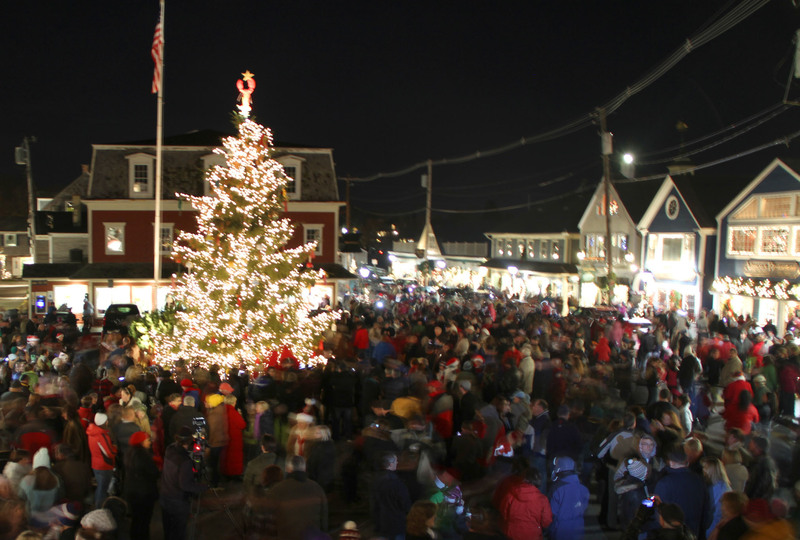 Kennebunkport’s Christmas Prelude has been named the #2 Christmas Town in America by HGTV, and a “not to be missed holiday event’ by Yankee Magazine. This year, The Nonantum Resort will celebrate the 12 days of Christmas, see our schedule of events for all the fun and festivities of Christmas Prelude December. 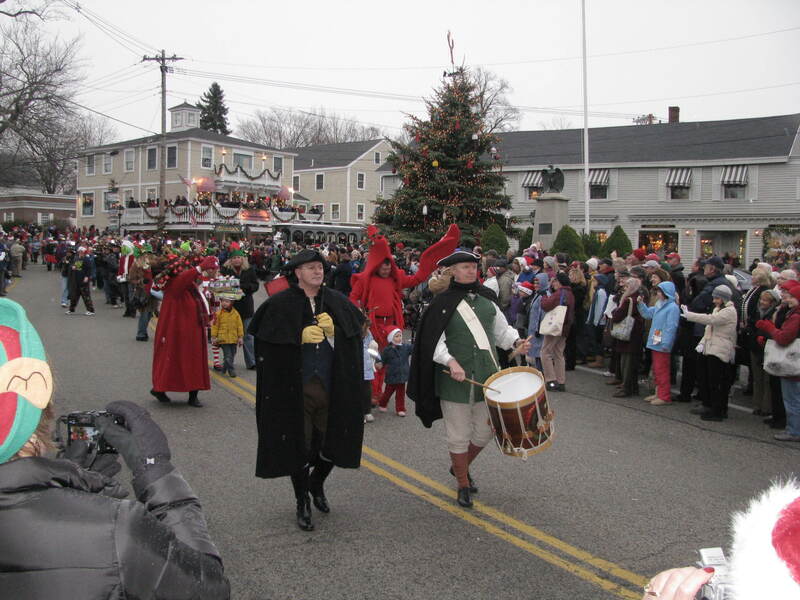 Some of the holiday highlights in Kennebunkport include Tree Lighting, caroling, craft fairs, shopping with treats, parades, fireworks and Santa arriving by lobster boat. Consider this your personal invitation to Kennebunkport’s Prelude, or even better come just before or after for the best lodging deals and you can still enjoy all the town’s beautiful decorations. 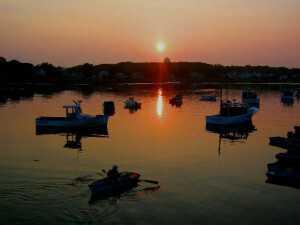 This is your a great way to make the most of your holiday season with a getaway to Maine.